This was my top-most-wonderful self-care discovery of 2018! Holy wow, I experience this, it has a name, maybe I’m weird but I am not crazy! I always thought of myself as strange for feeling like every haircut would make me so sleepy. I have a HUGE thing for keeping cotton swabs on me at all times — super relaxing. (I kinda thought I was too odd for the Q-tip thing, I admit). Don’t tell me it’s bad for my ears and pushes the wax down. That’s not true. I haven’t had an ear infection since toddlerhood and I LOVE ear candling, aka The Greatest Thing Ever. These are just two examples of what I’ve gotten out of ASMR before I even knew it was a thing. Now I am an ASMR junkie! You can learn more about ASMR on this site, or simply YouTube it to see what I am talking about. A friend posted an ASMR video on her Facebook and I rolled my eyes, “Wtf is up with these people and their weird soap cutting videos, anyway?” She posted that the video helps her relax after seeing clients (we work in the treatment field). So I thought if this stuff helps her relax in a sober way after seeing some of our demanding treatment clients, why not give it a second look? I had been trying yoga nidra to no avail. (Giving that one another shot in 2019 too). Then I got my daith pierced in November, which led to my ASMR light getting turned on. I realized there was such an amazing sensation there after my initial piercing pain subsided. Then I began looking up ASMR videos nightly on YouTube before bed. Before long, I’d discovered a few favorite ASM-artists. (TingleBelle and The Lune Innate, who incorporates Reiki into her ASMR). I’ve discovered I am totally a sound ASMR-type of person. But I love certain sounds like whispering, hair cutting, slime, tapping, brushing, etc. I have yet to find an all-slime video so I may have to get into making my own! I think this may be a meme going around, or it was at one time. Self-care meant a variety of things to me in 2018. Some days it was ice cream and Beyonce. Other days, it was just get home without killing anyone and go to sleep. Self-care also became extremely important throughout the year in the form of setting boundaries personally and professionally. I worked harder at strengthening my boundaries than ever before. I decided to reject diet culture and make self-care about body acceptance and loving my own body the way it is without changing it. This practice has resulted in far more self-respect and self-love than any “diet” or “lifestyle change” program could have ever given me. I realized through a summer of health difficulties that my life needed to change. I may or may not have passed a kidney stone over summer, but I did end up in 12 weeks of physical therapy total. It was the summer of PT. It was helpful in some ways and a waste of time/money/serenity in others. In the middle of that drama, our company-sponsored healthcare changed and I wasted nearly every spare hour of two whole weeks trying to stay ahead of that. I chose to cut back my hours and purchase my own health insurance — the opposite of what society wants us to do. Although I made my decision in July, I didn’t get to actually do it until December. Now I live in joy and bliss, feeling more free. I can spend more time coaching and being a reporter, less time as a social worker in the treatment field. I got sober on 7/1/13 and steered clear of my family since. I wanted to feel strong in my sobriety before exposing myself to the family system that raised me. For Christmas 2018, I visited my family for the first time since I got sober. It was amazing! Some people I hadn’t seen in 5, 6, 8, or 14 years. I left the family with my heart feeling full and my addict soul feeling healed. It was 100% the right choice for me to stay away — and then, to return. But the healing power of “wheels up” can’t be bought in a store… Nothing fixes my soul the way a packed suitcase and an airline ticket can. I am going to have to figure out where I want to go in 2019 and when I am going! 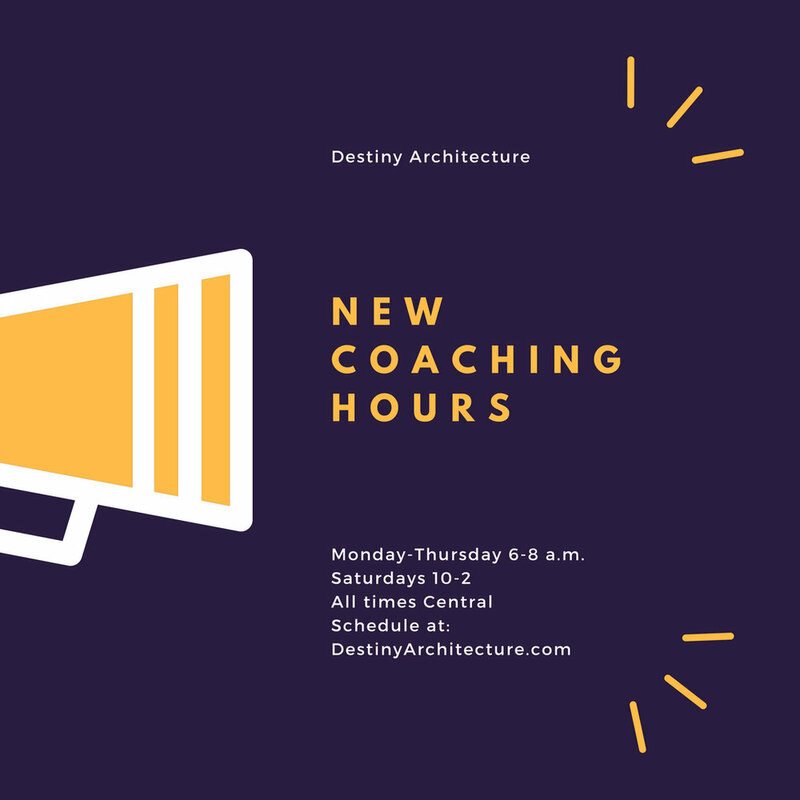 New and expanded coaching hours are here! Starting next week, I’ll be expanding my coaching hours for you into more availability — finally! This is a long time coming with quite a bit I have been working on behind the scenes. I won’t be completely off and running for the first week as I will be in the future. But it’s the first week, so we are getting into the swing of some of it. My hours through the end of December 2018 are set! Check them out and sign up where you wish. Here’s what’s coming in the bigger picture of things. I am so excited! The expanded coaching hours will make me available to you Monday mornings. I will also be available most weekday afternoons! Who is ready to start their week with a Monday morning coaching session?! That will now be available to you every week! It's small business Saturday so I'm extending my life coaching/Reiki gift card sale! Happy holidays from the life coaching & Reiki world! I hope your Thanksgiving holiday was excellent. I also hope your holiday season is off to an amazing start filled with family, friends, and food. I’m using the season of sales to pick up just a few things I need. The kiddos are probably all getting slime from Old Aunt Heather…haha. A new Self-Journal planner (my new fave). The thing to do right now, for me, is to gather some personal development resources. Just the sale on Kindle books was amazing yesterday! I do support my local bookstore as well — Watermark Books. They are amazing and I attended a friend’s book signing Monday night. Got some Wichita stickers too from Heartlandia, which I love. (See that on my Instagram @heatherlarson). Stock up on your personal development tools and prepare for a solid 2019 now! With this spirit in my mind, I have gift cards on sale in my Square Market for 50% off of gift cards $50 or more. Just in case you want to give them to other people instead of keeping them for yourself, I made sure to have a zillion designs for different occasions. I couldn’t wait to put this sale up in my Square Market. Why wait for Black Friday? You can get two life sessions for $100 right now, which you can totally use now or later. Use one now heading into Thanksgiving, use another one to debrief after all the stress has passed…use it however you want! It’s never to early to get a jump on holiday shopping. But I hate shopping in stores, so you can do this from your couch. Start your 2019 game plan right now with me — your professional, certified, transformational life coach! We can totally dig into your next vision board now. If you’re like me, you don’t do Thanksgiving but you like a half-off sale. Here it is! You can use it for yourself or give a gift — I’m not here to judge! This is an excellent time to turn within and revisit your goals, take stock of the year’s progress, and decide where to go next. It’s Mercury Retrograde, so it’s the best time for a Reiki session and/or a coaching session. Gratitude is a year-round event for Destiny Architects. It’s a daily practice. Let’s move forward with excellent coaching and Reiki sessions this holiday season! Exciting News! I will be adding additional coaching hours soon! I’m working on some things that will expand my coaching hours so I can serve you better. It’s been eight years since I took a huge leap of faith — which turned out amazing. I am feeling called to make a jump again. I’m available now evenings and weekends for life coaching and distance Reiki sessions. (No more early morning hours at this time). You can schedule with me in my available times here on the scheduling page or at this link. These show my currently available times. Here’s the only catch right now. I don’t know when my schedule will open up further. I also don’t know what days/times will become available. As much as I am the architect of my own destiny…I have to wait on a few things to move. And they will. Guess what else this means? 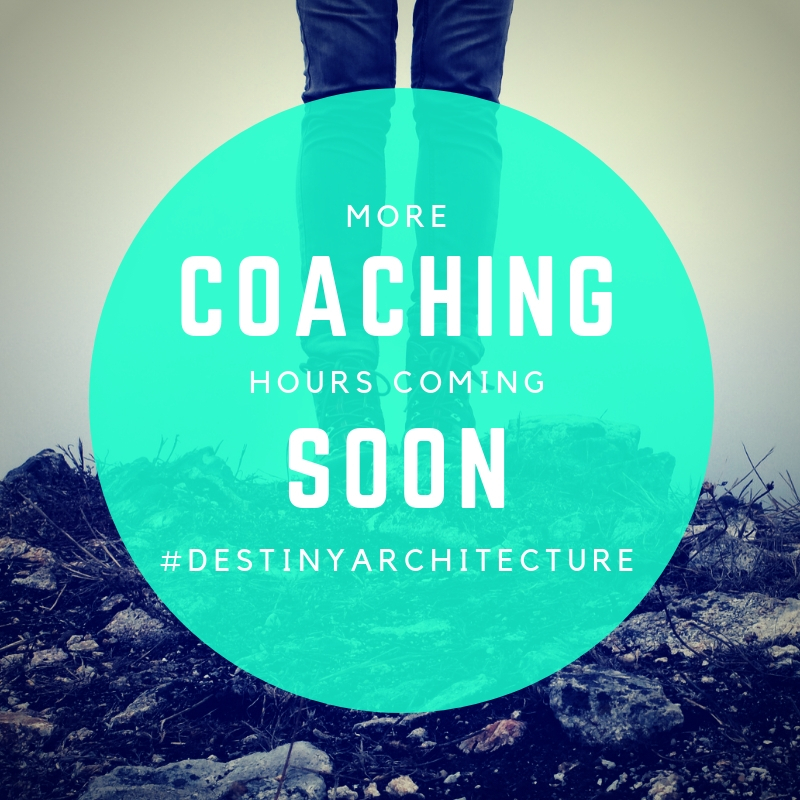 If you love personal development, get ready to have an expansive 2019 with Destiny Architecture! I’ve long told my clients to take the leap of faith. It worked for me before and I’m about to do it again. I love it. I love the rush, I love following my heart, and I love listening to Spirit lead me. I’m telling you this to take you along on the trip. (The word “journey” is overused and, if you’ve met me, you know everything is a “trip.” I’m a trip, life is a trip). Reiki and Life Coaching go together like peanut butter and celery for me. It’s my favorite combination. Maybe not the perfect combination of healing techniques for all, but I’ve long been in love with these two. I’m a Transformational Life Coach and a Usui Reiki Master. Both Reiki and Transformational Life Coaching call on the intuition to do the work. These are intuitive arts. Anyone can use life coaching tools but it takes the unique talents of each coach to really bring about the change and a-ha moments doing the work together can bring to a client. Both Reiki and Coaching can be done one-on-one or in groups. The two arts have some similarities like that. But they enhance each other as well. That’s why I was led directly to life coaching after a few years of Reiki practice. (I began Reiki in 2012 and life coaching in 2016). Reiki is a traditional Japanese hands-on healing technique in which the practitioner channels healing energy to the client (or receiver). Reiki is always relaxing for both giver and receiver — and never depleting to the giver. Offering something like a coaching session can be depleting as the coach will expend energy, intuition, and attention to the client. This is why those of us who coach spend time on proper self-care daily. Reiki doesn’t require as much self-care; it IS self-care. Since Reiki is an energy technique, it is highly intuitive as coaching is. If you’re a beginning Reiki practitioner at level one and you’re reading this thinking to yourself, “I don’t feel very intuitive,” do not worry. The intuition deepens at level two and the Master level. My intuition in a Reiki session with a client tells me where to place my hands, which areas need the most care, and what kind/how much care they need. In a coaching session, you as the client reveal to me a lot of what you want me to know by talking to me. I don’t just listen with my ears though! I listen with my eyes, I listen energetically, and I “listen” to your body language. I also “listen” to your posture, the colors you wear, and the exact speech you use. You can tell me anything you want, but know that I will “hear” what is really going on anyway! Intuition helps me help my clients in both Reiki and coaching sessions. 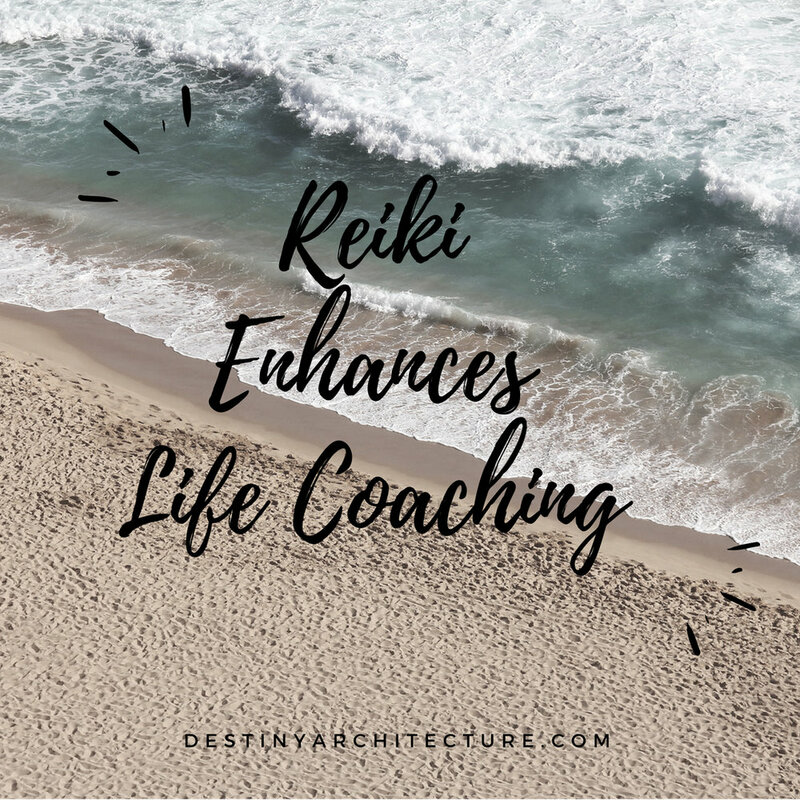 So how does Reiki enhance life coaching? 2. If your coaching session leads us to a meditation or visualization for you, calling on Reiki can help facilitate that. 3. Reiki is a sacred practice, as is coaching. Reiki brings more sacredness to any coaching session. 5. Reiki can help integrate certain work we do in a coaching session. For example, doing Reiki after an intense coaching session of going within, answering my questions, bringing up your “yucky stuff” will lead us to create the next steps towards changes in your life. Reiki can help integrate various forms of work we do in coaching — especially affirmations. Did you know Reiki Masters always work with affirmations in Reiki? It’s part of every attunement we do! For more information on how I can help you achieve your goals through Transformational Life Coaching and/or Reiki, please contact me via the form below or book your session on the scheduling page today! Good morning! I am creating new coaching hours for you so you can start your day off with a life coaching and/or distance Reiki session Monday-Thursday 6-8 a.m. Central time. I'm hoping this will help some people in different time zones. What better way to start your day? I will also have time for transformational life coaching and/or distance Reiki sessions on Saturday between 10-2 Central time. (For those who cannot or will not wake up early on the weekdays, or who just don't have time). My plan is to expand my coaching hours in the future. I have a ton of great stuff planned for you! I've always been a morning person, which is why I want to offer early morning coaching. It is important to get your mindset right as you begin your day! As your coach, I want to get you when you're fresh -- before you have to show up in your world as "Mom" or "Boss Lady" at work. It's all about you. After years of morning radio, I know how to wake you up and help you start a great day! Visit my Acuity scheduling page to reserve your spot on my coaching and distance Reiki session calendar. (If you're interested in recurring sessions, go ahead and grab those spots). To center this around the topic of late — self-care! 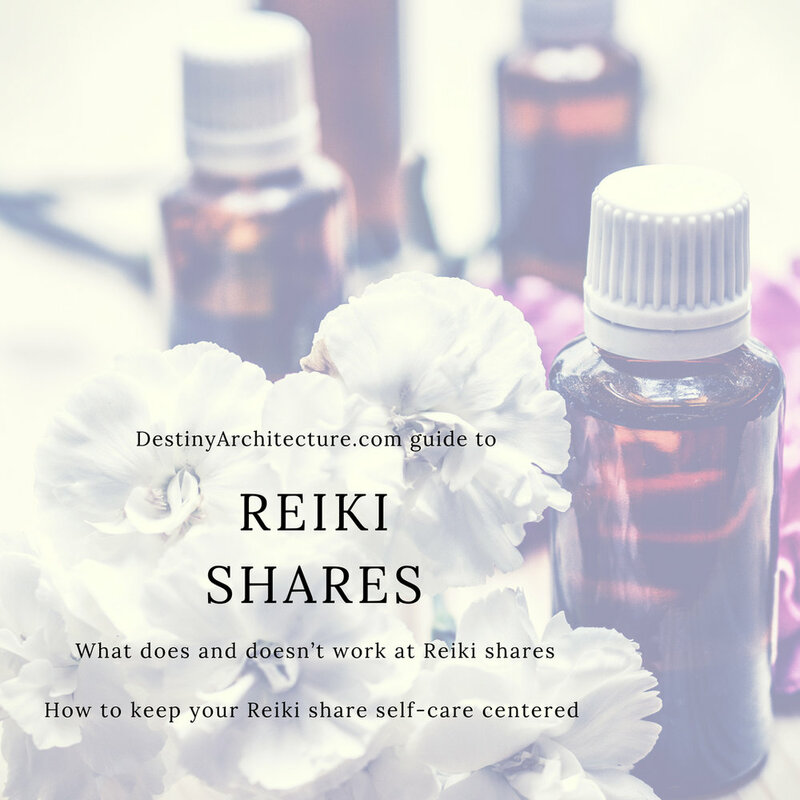 First, what is a Reiki share? A Reiki share is when a group of Reiki practitioners gathers to practice this traditional Japanese healing art. One practitioner lays on the table and all the others lay hands on her to channel Reiki energy. All are trained in some level of Reiki. My group does 15-minute intervals. Everyone takes turns so everyone gets to receive 15 minutes. Not that the giving part is bad at all! I use it to hone my skills as a Reiki Master and to enjoy the energy just the same. I learned a lot of what initially helped me to grow as a master in those Reiki shares. It seems this past weekend I learned and grew again in our share. An issue came up that has never come up before. What we have done for years has never changed. We always meet up between 1:45 and 2:00 pm, we hang out and chat until we are sure everyone is there. Then, we begin. We practice with everyone getting a turn and so we end up done by 4:00. This means sometimes we have a few people and sometimes we have a lot. My Reiki Masters invite all their students of all levels. So for those of us who are Masters, we just have to be careful not to perform symbols in front of the uninitiated. If we have a bigger crowd, we roll out the second table. This recent Reiki Share was smaller than usual. We waited and started a little late, but we were certain we had everyone. The share began and I went first — always happy to jump on the table first. I like to be able to get fully grounded before the end of the share so I hate going last. I zone out during Reiki most of the time — I leave the planet for all know. I’ll “get the download” and it’s hard to come back! So my 15 minutes passed and we went on to the next person. About 2:45, a couple walks in late and loud. My Reiki Master welcomed them in. Turns out, they are brother and sister and newly attuned. The young man says he got off work at 2:00 pm, had to go home and shower as he works outside. So here’s how I chose to handle this. First, don’t bring your dysfunction into my space at all — let alone my sacred space. If the Reiki Share doesn’t start until 2:00 pm and you have to work until 2:00 pm, guess what? You can’t make it. Learn how to schedule. Second, I don’t want to hear your excuses. Must be the life coach in me. You couldn’t be here by the time the function started and needed a shower too. That is not my problem. Third, and most importantly, a Reiki Share must be an even exchange of energy. Ask any experienced healer. You cannot give out more than you are receiving. Though Reiki does not deplete, there’s an exchange of time here. I am not staying late to help people who can’t be on time. I have a thing against over giving. It’s called — wait for it — self-care. This may sound harsh to some. But it’s important for those of us who are healers to practice strong boundaries. New healers need to learn them. Experienced healers need to teach them to the newer people. When I was new, more experienced healers taught them to me by example. I have noticed in six years of doing Reiki the people who this field attracts. Guess what? We all love to help others. We also tend to lean towards helping too much. I have learned not to over-give and not to be a “help-aholic.” I learned by doing my work. I was codependent when Reiki found me in 2012 and engaged in a program of recovery from codependency and addiction since 2013. I’ve been in recovery since 7-1-13. I have no doubt I would have stayed in the grip of my addictive behaviors longer if I hadn’t found Reiki. (Reiki 2 tends to blow out whatever in your life needs to be destroyed). I have learned to modify my behavior and I do not tolerate bad behavior from others. Boundaries are self-care! There must be boundaries in any Reiki interaction, especially at the shares. I didn’t want to ruin the new pair’s passion for or impression of Reiki or those of us who do it. I had to remind myself I wasn’t in “life coach mode” and was there to enjoy myself. Also, it’s not my share to run. I’m not the leader of this. My Reiki Master is there, she runs it, it’s her decision and I don’t want to be rude to her as our host either. So I decided to leave peacefully and quietly and without giving a reason as to why I was leaving. I was not the first person to excuse myself. Another Reiki practitioner hadn’t laid on the table and received yet — two of the original group hadn’t. She asked if she could go next and said she had some things to do and would have to leave right after. I am going to have to just guess she was thinking what I was thinking. I stayed long enough to do Reiki on the other two people who had done it on me (knowing my Master always goes last as she’s the host). Then I quietly grabbed my water bottle and left. I decided not to complain to my Reiki Master as it’s her share, her choice. If I don’t like how it’s going, I can politely excuse myself again. I’ve known so many healers who demand an even exchange of energy — always. If the exchange isn’t in money, it’s in time. But it must be even. A friend and I used to exchange Reiki but not on the same day as she had a preference to not give and receive in the same day. I’ve had some friends willing to trade Reiki for massage and some who won’t as they don’t feel it’s an even exchange. Everyone has their own unique boundaries. Your Reiki lineage or training is not better than anyone else’s. You are responsible for the energy you bring to the share so make sure it’s good! Energy exchanges must be even exchanges. Don’t reveal symbols to the uninitiated. This is an act of respect towards Reiki itself. But DO help the new people to not be lost. Be polite and respectful (I have found Reiki shares to be diverse in culture and religious beliefs so this isn’t the place to be if you’re bothered by others’ cultures, values, languages, accents, cultures and beliefs)! Be clean and smell good. Because ya’ll are about to be up in each other’s personal space! Think about it! Bring water. Energy work makes you thirsty. No soliciting. On one level, there is sharing your pride in what you do. On another, we’ve all been hit up already by three friends for Young Living, five friends for Do Terra, 4 friends for Thirty-One, etc. Don’t use the share to meet your MLM business goals. My Reiki Masters don’t charge for our Reiki shares. They open up their office to the group and we use their facility as it’s already set up with tables. I think two tables is ideal to have in case you get more people than expected. I have heard of some Reiki shares charging participants money or a “love offering,” just to pay for a space. It’s always nice to bring a little something to share. My Reiki Master bakes the best gluten-free brownies! Sometimes we bring in crystals and stones to share with the group if so moved. 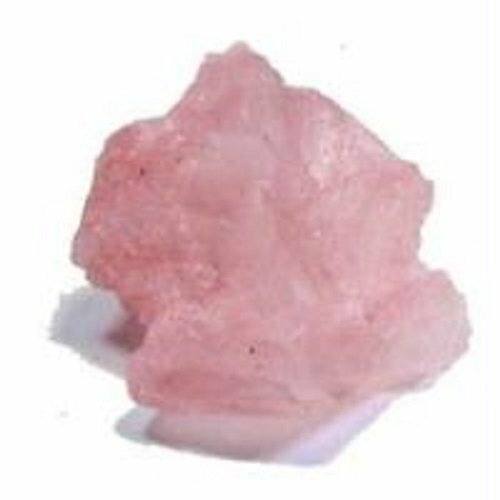 Of course, my Reiki Master Donna has her offices filled with crystals and stones of all kinds. She loves to give us little stones she finds in her travels. Reiki shares are awesome because friendships are built there. Skills are honed. Reiki practitioners get to heal and be healed. You can start a share with only a few people. You don’t have to start off with a big bang. Just make sure it’s a safe place for all — safe for sharing, learning and growing. The main goal is for everyone to receive Reiki. A secondary goal is for everyone to hone their skills as Reiki Practitioners and Masters. Want to know more? Drop me a note below. Book online with me! I added new coaching & Reiki services! I wanted to make coaching more simple and affordable for summer break as I was inspired by an educator friend who has the summer off and wants to make the most of her time. I created options for those who really want to grow with multiple sessions -- but who are on a budget. A life coaching session a week for an entire month won't cost more than $250. If you want two sessions a week of coaching for a month, it's $600. That is it! If you want to get intense and have unlimited coaching and Reiki all month long, it's going to be $1,000, which is a great price for those who want 8 coaching sessions plus a Reiki session or more each week. Start with a $49 introductory session. I have these set up for two-hour blocks -- but always plan for a session to last at least an hour, maybe 90 minutes. I take my time and listen. I can't can the experience into just one hour. If you've already done your introductory life coaching session at $49 and want another session, just one at a time as you go, my regular sessions are $100. I made it pay off for you to buy several and keep on working on yourself with coaching and Reiki! See the new offerings below! I'm not available this Saturday due to tons of graduations and Mother's Day stuff. Usually, I am available on Saturdays. Having a self-care weekend all to myself was so energizing, I can’t wait to do it again! I may have gotten too much rest because I woke up at 1am today… But I can’t complain! I decided Saturday to go with the flow and ended up making a discovery. I took Uber to see my Reiki Master, Donna, for a Reiki Sonics session. After that, I decided to walk across the street the the health food store for some supplies. On the way, I discovered a little foot massage place. I bee-lined for it. It is so hard to find a place that does just reflexology around here! I was so excited. It turned out to be a not-so-little place that offers all kinds of massage -- chair, body, and feet. They had tons of massage chairs and rooms! It was a lot bigger inside once I went in and they did a great job. Then I hit the health food store, then went on to get a haircut. Ended up being gifted with “color depositing conditioner” and a Halite (salt) stone. Once home, I was relaxed and happy I got to accomplish so much self-care! I camped out on the couch and ate my salad and chocolate while watching Netflix. It was so awesome to have downtime after the last couple Saturdays of travel and training! Sunday, I slept in and then did some more binge watching once I got my spiritual studies done for the day. Then I was off to the Reiki share with a friend, which I was wonderful. I was gifted with a notepad and some household items -- small gifts, yes, but a signal to the Universe that more comes to you when you care for yourself first. Who doesn't love energies of abundance and manifestation? You can take Reiki 2 with me this Saturday in Wichita! Join my Reiki 2 class, 8/12/17, $180, held at White Dove Wichita, 2947 E. Kellogg from 8am-noon. 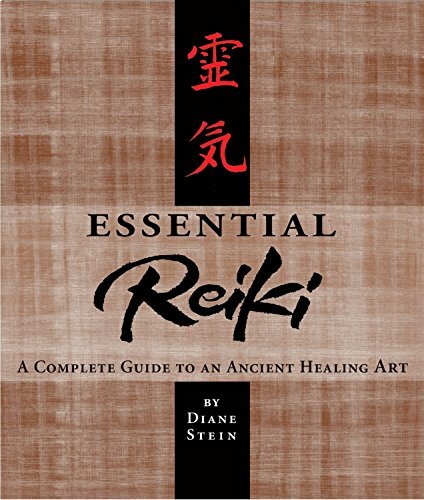 Will use the same learning manual used in Reiki 1. If you don't have one, please let me know ASAP so I can order one for you in time for class. Taught by Usui Reiki Master Heather Larson. Sign up here to hold your space! Class is $180 and includes a manual. Reiki 2 will change you and elevate you on your path towards spiritual development and begin to heighten your intuition. Everyone has a unique experience, so like with any Reiki session, I promise nothing. Some people have that "Burning Bush" experience while others just tell me their atunement was simply relaxing. Reiki II gets you learning the symbols, which strengthen your Reiki. All you really need to send Reiki is intention, but symbols help. They are part of the tradition and full of meaning. I will explain more in class! You're also going to learn more about practicing Reiki on others, as in how to do a full session. If you're wanting to be serious and do Reiki on a more professional level, I go into that in Reiki Master class! I'm actually thinking of offering a class just on how to open a Reiki buisness. If you'd be interested, tell me you are in the comments! Here's a simple affirmation for today, "I AM Abundant!" Let's Recap The Week in Destiny Architecture! First, we kicked off the Flex Your Abundance Muscle Challenge. What are you getting out of it so far? Are you feeling the affirmations? Has anything shifted? If you're participating, be sure to share on social media with the hashtag #FYAM. I'm certified transformational life coach Heather Larson and I'm the creator of the seven-point plan that is Flex Your Abundance Muscle. I created it because I love morning rituals and I wanted a morning ritual for myself focused on prosperity consciousness -- and increasing mine. This can be a daily ritual for any time of day or night and it doesn't have to take more than a few minutes. You may or may not do each step every day. That's it! I may or may not have time to de-clutter the house each morning, but I work on that at other times of my week. I DO say my affirmations each morning. I still have a list my Aunt Lori made me almost a decade ago! (She has since become a New Thought minister, so you see where I got all this from -- my family!) I add to my vision board almost daily. I DO look at it daily! I'm writing you a blog a day to help getyou flexing your abundance muscle! On day 1, 8/1/17, we kicked it off with a blog post about affirmations and starting to clear blocks around money. Our affirmation was, "I love money!" Say it with me now, with feeling! Catch up on that post here. On day 2, we concentrated on simple practices to increase the flow of abundance into your life. Read it here. Day 3 brought us to visioning. What are you visioning? What do your conscious thoughts revolve around? Are you creating a vision board? Check it out now. For day 4, I thought we'd do the Do's Of Vision Boarding! I shared some tips and tricks with you about how I like to do my vision boards. Read up here! Now we are to day 5, and I'll post a blog about taking action. Affirmations are nice and they make us feel better. But we still have to take action. We can make all the vision boards in the world. But we must act! Is anything here resonating with #FYAM for you? If at any time something in here strikes a chord and you'd like to go deeper, I am available as your life coach. I also teach Reiki! Reiki is a traditional Japanese art. It is energy work and hands-on healing. I teach it in Wichita (never online as I am a traditionalist). I also offer Reiki sessions in Wichita, KS in the Reiki therapy room at White Dove. I offer in-person life coaching sessions here as well. If you are not in Wichita, I can do distance Reiki and life coaching sessions online with you. Please try an introductory life coaching session with me for just $49! Reach out anytime! I'll get back to you within 24 hours! I'm going to share with you my personal practice for prosperity & abundance, which I will add, is ever-evolving! I am finding the current edition of the ritual puts me in the best mood. In case you don't know, being in a great mood is important when you are working to attract more abundance into your life. What you are feeling can raise or lower your vibration. A better mood means a higher vibration -- you don't attract what you think, you attract what you feel. Living life at a higher vibration means you are constantly attracting abundance into your life. Flexing your abundance muscle is a lifestyle change. You know how experts say, "Diets don't work?" The same is true with your abundance & prosperity practice! You have to practice. It's an exercise! Hence, I'm calling this, "Flexing Your Abundance Muscle," and for social media purposes the hashtag is #FYAM. Let's do this challenge together and share what we are manifesting. It can be anything and everything! I believe I can manifest a piece of chocolate as heartily as I believe I can manifest $10,000. So let's do this! Time to start flexing! Repeating affirmations is something we can do 2-3 times a day to begin to change our mindset into a more positive one. Remember, the goal here is to boost how we feel so we are able to attract bigger and better things into our lives. I always have more than enough money. I am a tremendous success. I am now earning an abundant & prosperous living doing what I love! I am a smart money manager & I always make smart financial decisions. I am a creative money generator! I am happy, healthy, and fully alive! Forget how this sounds for a minute. Just the fact that you are changing your phone's lock screen daily to a photo that symbolizes abundance forces you to take a minute to concentrate on what you are manifesting. It can be a photo of a sports car, a status purse, stacks of cash, or whatever. It can be a word like, "Freedom," or simply, "money." Then your fresh reminder for the day is there whenever you look at your phone. It's seeping into your consciousness daily. Save this as your phone's lock screen background! Step 3 -- Brainstorm a DAILY Vision Board! What this means to me right now is I take daily time to screen shot photos of what my ideal life contains. I visualize having these things and I have fun doing it! They include photos of vacation destinations, the kind of vehicle I want to drive, the kind of furniture I want to own, and my dream home. Go wild! Vision as though there are no limits because there aren't any! Nothing is too big or wonderful to take place. What do you have to lose by dreaming huge dreams? Nothing. Make your visions grandiose. If it feels difficult to create a grand vision for your life, then you are encountering your first block! Go back to your affirmations and punch them up a bit if you want or simply repeat them. You can also join my Vision Boarding Facebook group for tips and motivation. It sounds dreamy doesn't it? Repeat affirmations and make a vision board then it all comes in, right? Nothing happens without action though! TAKE ACTION! Pray and move your feet. Ask yourself, "What can I do to create more abundance right this second?" Then make your to-do list. What's the action plan for today? Is there a side hustle you can work on? Is it coming up time for your annual review at work and you want to ask for a raise and need some practice? Practice on a friend or family member! Feel that raise coming your way! Take a class or attend a webinar about financial planning. 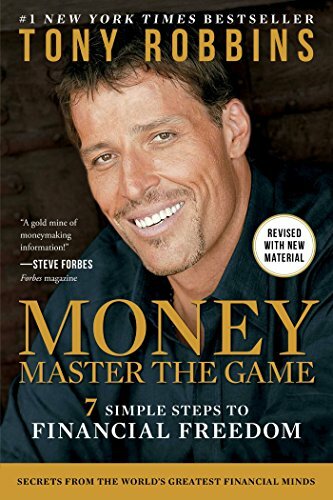 Read a book about mastering wealth. Share your abundance with others! Make a meal for friends. Give a gift. Create more energy of abundance in your life with radical self-care. Take that yoga class, buy that smoothie, work on that meal plan, take that bubble bath, and make that doctor's appointment! What can you do today to feel like you're taking action towards your financial goals? Share your ideas in the comments! Step 5 -- Meditate On Money! Visualize that money! Visualizing physically holding the cash in your hands. How does it feel? How does it smell? Feel the crispness of it. Feel how much there is. Count it. Visualize what you will purchase to treat yourself. Visualize how you will use it to treat your family and friends. Visualize doing GOOD with that money and blessing others. What is your favorite charity? Can you help a friend or neighbor in need? Can you donate to a great cause in your community? How will you use all that wealth as you receive it? Give it thought and visualize using that cash as a tool! Step 6 -- Fill In The Pages of Your Gratitude Journal! This is has been written about everywhere so I'll be brief. An attitude of gratitude brings abundance! Duh! There is always something to be grateful for every day no matter your situation. If you lose the gratitude, you lose your hope. If you've never done a gratitude journal before, start by writing down 100 things you are grateful for. The purpose of this exercise is to get you thinking about every single thing, big or small, that you feel gratitude for having. You have at least 1,000 things to be grateful for! So writing down 100 as fast as you can shouldn't be too hard! Clear the clutter! Nature abhors a vacuum! All that new stuff you desire can't come in until you make room for it. Having too much stuff around makes you disorganized and confused. All that clutter takes up space that stops the flow of energy and abundance. You know how nothing feels better than a clean home? That's the feeling we are after! Remember it's what you feel that attracts your prosperity into your life! So take a look in the cupboards and dump the expired stuff. Look under the couch and in between the cushions. Clean the base boards and vacuum the corners. Dust. Burn some sage and bless your home. Put out something that smells good. Do what it takes in your home to uplift your soul! How do you practice prosperity in your life? How do you keep an abundance mindset? Leave a comment to share with others! In the spirit of celebration and because I absolutely LOVE the 4th of July, I'm having a huge sale! Thought I'd go with some insane deep discounts on Reiki and Life Coaching since this sale will only run through Wednesday, 7/5. First of all, practice some self-care and book a distance Reiki session for just $17.76! (See what I did there?) I'd LOVE for more people to try Reiki so I can spread more positive, meditative energy into the world. Reiki is a traditional Japanese energetic healing art that promotes healing. Second of all, I thought you may like a chance to save on my services. Like, really save. So I knocked about 50% or more from coaching sessions and packages -- again -- through Wednesday 7/5! So yeah, you could end up with 20 life coaching sessions for just $500 right now! And if you're that serious, you have until 3/31/18 to use them all! Three life coaching sessions with a Reiki session just $170! If you've never had a coaching session before, or simply never worked with me, I have an amazing sale on a first time, introductory session just $29! So you get shopping and let's get going! Work on yourself! Give yourself this gift! You're going to feel great, you'll get an edge on any perceived competition, and we'll have some fun. I can't wait to help you grow. I'm here to support you on your journey. You can email anytime at destinyarchitecture@gmail.com or call 1-800-390-6495. Let's start our own social network! There's this new thing called Mighty Networks, and I thought I'll give it a try. I'd love to create a place where we can all chat and exchange ideas. Whether it's about life coaching, Reiki, vision boarding, creativity, or something else, I think it will be cool to have a special area for like minds! If you're interested and would like to join, here's the link. Today! Another fantastic edition of Free Friday Reiki LIVE! When you show up to the live session today, I'll enter you to win a FREE private session with me! This is going to be the last session on Learn It Live. I'm going to try different live venues (online of course) like Facebook, Instagram, YouTube, and Periscope. Which one would you be interested in attending? Let me know in the comments! I'm also interested in making them more frequent and spontaneous as well as scheduled! So tell me what days/times you'd be likely to pop in! Tell me what you want in the comments. I am all ears because I am here for you! Join in a group vision boarding creation party! Time to get together and CREATE! I just launched a huge sale! 50% off my transformational life coaching and Reiki services! My idea here is that you will buy now and use later -- although I am not at all opposed to you beginning to transform your life NOW through life coaching and Reiki! I know the holidays are busy, so I am not counting on anyone wanting to burst into life coaching and Reiki right now. What I am hoping is you'll nab these great services at the sale price and use them to kick off your most powerful year yet! If you want your life to be different, better, and happier in 2017, you've come to the right place. Start where you are -- right here! I am also hoping you will see the value in combining Reiki with Life Coaching. Reiki relaxes you, so it would be great to kick off a coaching session or to integrate the work we did together after your session is done. For my Wichita clients, there's a package combining these powerful transformational sessions with a Reiki 1 course. I say this is for Wichita-based clients only because I don't give out Reiki attunements online. Only in person. Please check out my sale page and grab one of these great packages soon!